– Maker fees are paid when you place a limit order under the ticker price for buy and above the ticker price for sell. – Taker fees are paid when you place an order that is executed against an existing order of the order book. 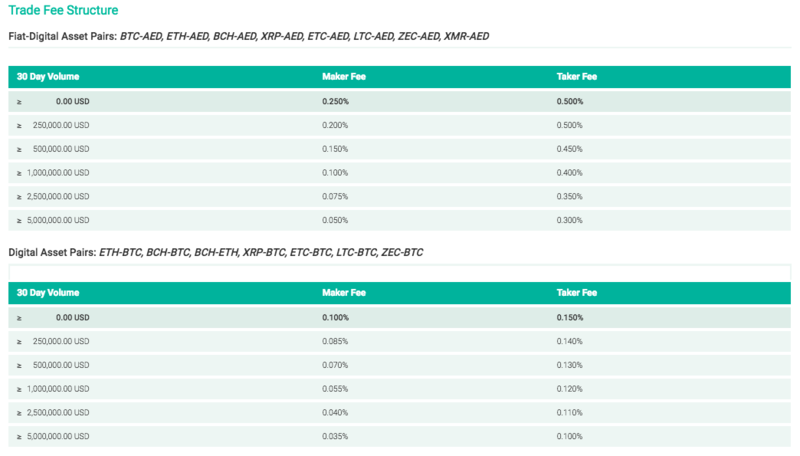 – Fees are calculated and based on your 30 day USD equivalent trading volume. How can I exchange AED to BTC on BitOasis wallet?